Handbags at dawn! Have a terrific Tuesday. they are having a whapping good time! Those cats are angry with each other. 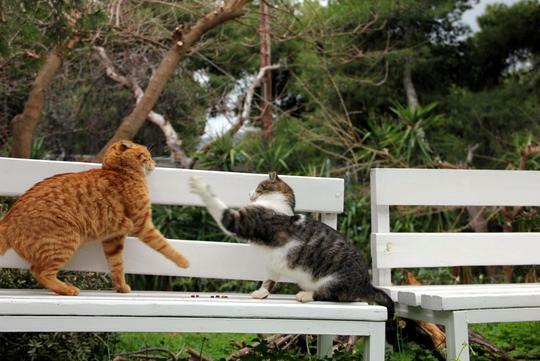 Takes back the meaning to the term "cat fight".